How Much Unity Do We Need? Despite being followers of the Prince of Peace, Christians have a long track record of fighting with one another. 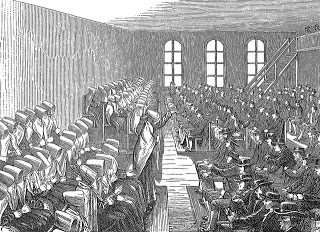 We Quakers, despite our history as a peace church, have always found plenty of ways to rip each other a new… theological perspective. 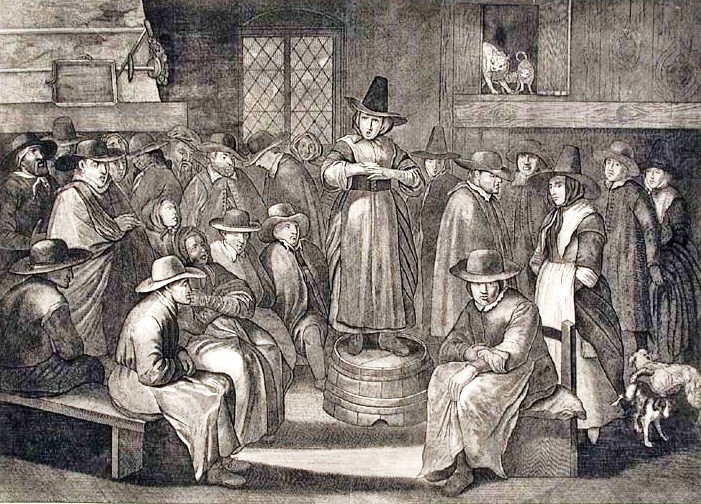 The history of the Quaker church is one of seemingly endless schisms, and while I’ve heard it said that other groups “multiply by division,” Friends have mostly lost strength, numbers and spiritual wholeness with each split. In light of our contentious past, and present, I was very pleased to read a recent article by Steve Angell of Earlham School of Religion, in which he makes a plea for openness to the variety of scripturally-based views of the atonement. He points out that there are actually several, scripturally authentic views of how Jesus’ death on the cross brings about reconciliation between humanity and God, and between human beings themselves. Different groups within the Christian community emphasize one view or another. For example, Evangelicals strongly embrace the satisfaction and penal substitution theories of the atonement – commonly summed up with, “Jesus died for our sins.” Liberal Christians generally focus on the moral influence theory, which holds that Jesus’ selfless martyrdom on the cross is meant to serve as an example for his followers to emulate. There’s also the ransom/Christus Victor theories, which date back to the early Church but which lately have been overshadowed by other, more popular atonement theories. I really appreciate Angell’s exposition of these issues, because he understands that these theories are not simply some esoteric mumbo jumbo, but are in fact central to how we understand our faith as followers of Jesus. He is quite clear that Jesus’ atoning work on the cross is essential to how we become citizens of God’s new world (the Kingdom). The atonement is no throw-away doctrine that we can take or leave. Jesus’ execution on the cross and his resurrection from the dead are fundamental to our Christian faith. It is through Christ’s death that we are reconciled to God and brought out of darkness and death. We participate in his resurrection insofar as we embrace his willingness to suffer for love. Understanding the deep importance of the atonement, Angell pleas for a generous orthodoxy that allows these varying biblical perspectives to co-exist within the same community. 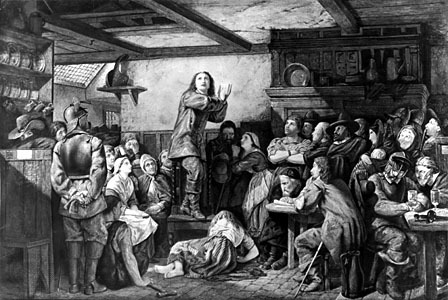 For so long, Quakers – and Christians in general – have been screaming at one another over just exactly how Jesus’ sacrifice “works,” when Jesus himself calls us to the profoundly practical work of healing the sick, casting out demons and announcing good news (not just theories, but real, practical good news!) to the poor. There are certainly times when God calls us to stand firm on theological questions. I was glad to see that Angell did not suggest that orthodoxy is unimportant. Yet, he draws our attention to the fact that the truth is complex, multifaceted, rich with meaning and nuance. While we all seek to follow Jesus and become baptized into his Spirit, there are many ways of understanding how that relationship works! The work of distinguishing between what is merely metaphor and what is bedrock truth is very difficult. 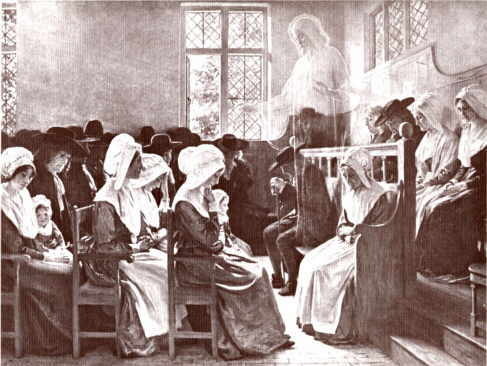 There are members of the Quaker community, for example, who think that Jesus himself is essentially a metaphor – that when I as a Christian say “Jesus,” it is essentially the same thing as when a non-Christian says “God” or “Truth” or “Spirit.” How can we embrace different perspectives without going this far? Where is the distinction between our human metaphors and the real, tangible relationship that we are called to have with the person of Jesus Christ? How can we make room for differences in metaphor while staying faithful to the basic truths that we have received – in Scripture, through tradition and in our own personal experience of God’s action? How much liberty is healthy, and how much unity is essential? And in all of these questions, how can we maintain a fundamental compassion and charity for one another that reflects the face of our Savior?